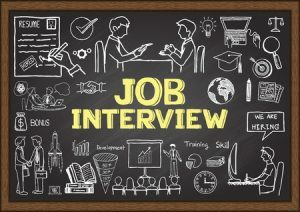 What is the Interview Process Like for Commercial Truck Drivers? | Platinum Drivers Inc. The trucking industry is constantly on the lookout for new/more drivers. There’s a constant workforce shortage in North America and high turnover rates to boot. Recruiters use several methods to try and get potential applicants to be interviewed, to see if they’d be a good fit for various trucking company needs. Now what about the interview process for becoming a trucker? What’s it like? Companies typically ask applicants what they’ve heard about the company. If he or she knows some key information and can talk about it, that shows they’ve at least done some research before the interview. Showing that sort of initiative is a good thing– it means they cared enough to learn a bit about the company they might like to work for. Next, an applicant is likely going to be asked about their driving record/driving history. Have they graduated from a trucking school? If so, which one and how was their experience there? Meanwhile, what license do they hold– and are they permitted to drive the proper class for the intended truck they’d be driving for said company? Hiring policies are in place. Interviewees typically need to provide a copy of their driver’s license, proof of citizenship or work permit, a valid medical card, and their social security number/insurance number. They’ll take a drug test. And they’ll probably be given a competency test whereas they demonstrate basic working knowledge on the actual road. If you’re thinking of becoming a trucker, now’s a great time to get into the industry. Platinum Drivers specializes in matching truck driving candidates with the right job for their needs. Learn more by contacting one of our offices or by emailing info@platinumdrivers.com.